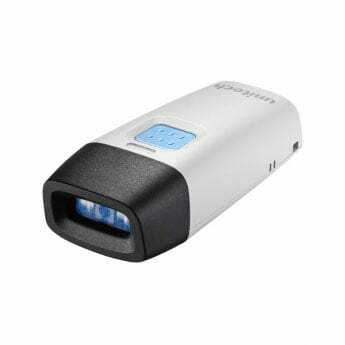 Unitech MS912 - Cordless Scanner, Batch, Linear Imager, Bluetooth, 2MB Memory (~20,000 barcode scans). Works with Apple iOS (iPad, iPhone, iPod), Android, and Windows devices. Includes USB charging cable. The Unitech MS912-5UBB00-TG is also known as UNI-MS912-5UBB00-TG	or MS9125UBB00TG	.